Commercial Cleaning in Sunderland. Commercial cleaning is the most common form of cleaning within most businesses in Sunderland. Simply explained commercial cleaning is the term used when individuals, businesses or corporations hire cleaning companies or contractors to carry out cleaning jobs on a variety of premises such as us, Dirt Busters Commercial Cleaning in Sunderland. So, why not do your own cleaning? Why do businesses hire cleaners instead of keeping it in-house? What will cleaners do and why it is important to hire one for your business? If you think about it your office or place of work is your home away from home. It is where you spend most of your day and where your employees spend most of their days. Therefore these areas need to be clean, tidy and hygienic, not only will this benefit your employees but your customers/clients/business associates too. If your place of work is where you host meetings, transactions, events etc it is extremely important that you give off a good impression and that you are always prepared for visitors. People will always remember somewhere they have visited if it was unclean or dirty. . .and they will not be in a hurry to return! On top of wanting the business to look its best, most of the time looking after your commercial cleaning in-house is not practical or beneficial to your business. You want your employees to work to the best of their ability and not take up valuable time tidying and organizing cleaning rotas. And what you must remember is that your employees are most likely not trained to be a professional cleaner. This is why commercial cleaners are so important. They are fully trained in their field and can offer their services to a very high standard. They will handle jobs such as waxing & mopping floors, vacuuming, polishing, dusting, carpet cleaning, sanitizing public bathrooms & floors, refrigerator cleaning, emptying internal rubbish bins and clean all eating areas to ensure hygiene standards are met. They will be equipped with the correct tools and safe cleaning products which if not provided by a professional company can contain dangerous chemicals/toxins. Lastly, one of the most important things commercial cleanings provide is maintenance. Once you have your work space clean there is a responsibility to make sure you maintain this. 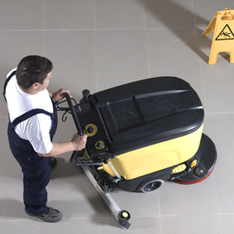 A commercial cleaner will have a schedule for your business to ensure all work is kept on top of and clean so you are prepared for visitors at all times. If you are looking for a commercial cleaner in Sunderland for your business we offer a variety of strategic plans to help organise and clean your offices, factories, hospitality venues, schools, leisure centers and much more!